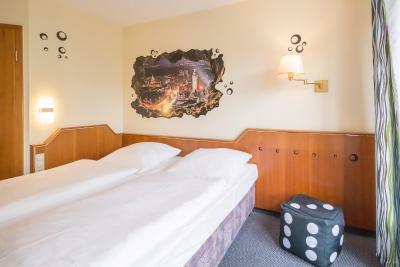 Lock in a great price for Hotel Markgraf Leipzig – rated 8.3 by recent guests! 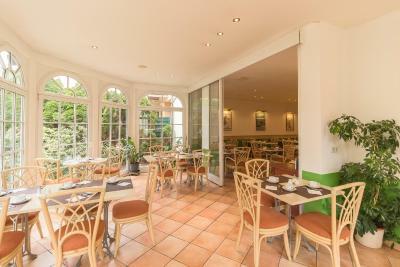 The place is couple minutes walking from two tram lanes and just 10 minutes from nearest S-bahn station. 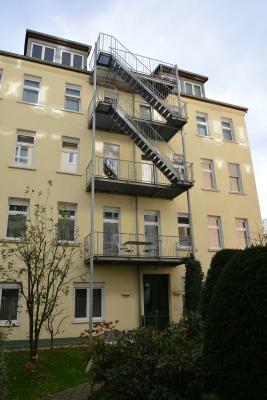 On Karl-Liebkhnecht Str. there are a lot of bars and restaurants, Clara-Zetkin-Park (with one of the best children playgrounds I've seen so far) is also very close. As for the hotel, I haven't faced any issues there: clean room, no strange smells, all facilities working, got an elevator. I needed to get to Haus Auensee and Google maps didn't have any navigation in Leipzig except S-bahn (it is 2018 year, yes). So the lady on reception suggested me the best route using Tram and gave a paper map! She spoke good English, as well. Breakfast was good, with scrambled eggs and great coffee. As good as a Best Western in the US, but only 33 Euro. The property was not near the city but you could get to the centre with the team easily. Breakfast was fine and the room spacious. Personnel very friendly. Breakfast provided lactose-free milk, scrambled eggs without milk and gluten-free bread upon request. 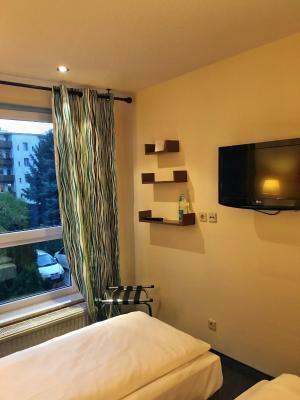 This hotel is well placed, 15 minutes walk to centre and by sudplatz tramstop on the cafe/bar strewn 'Kalli'. It was clean and basic and that is what I expect for the good price I paid. My room was quiet on top floor and not big but was all I need in a room. 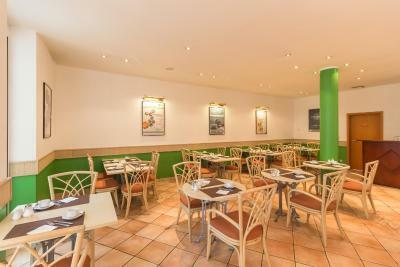 Simple place with friendly staff, location is excellent. They were very accommodating to my dog and had parking on site. Breakfast was included and really nice. Several great bars one block away. 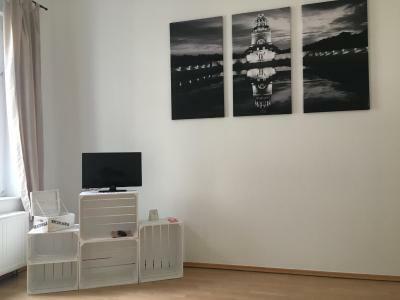 Perfect spot to experience a great city like Leipzig and for a great price. 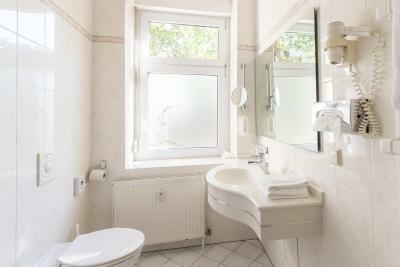 Location with easy access to city center, nice breakfast for price value. 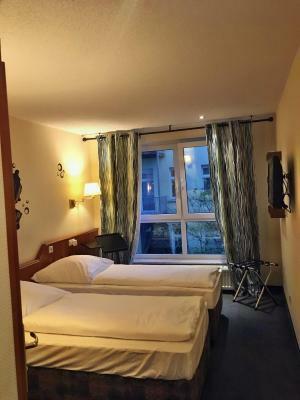 Hotel Markgraf Leipzig This rating is a reflection of how the property compares to the industry standard when it comes to price, facilities and services available. It's based on a self-evaluation by the property. Use this rating to help choose your stay! 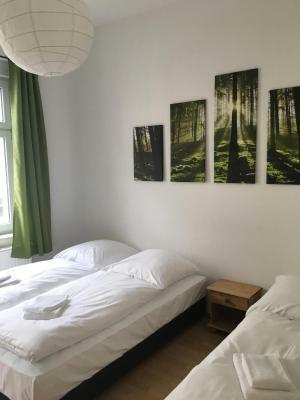 Offering free WiFi and rooms and apartments, this family-run hotel is just 0.6 mi from Leipzig city center. 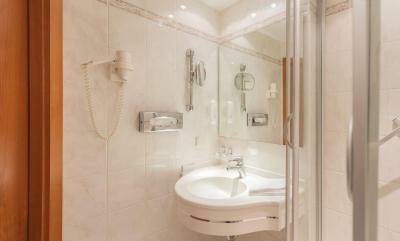 The stylish rooms at Hotel Markgraf Leipzig include satellite TV, large windows and a private bathroom. Some apartments feature a kitchenette and balcony. Guests receive a free bottle of mineral water upon arrival. A breakfast buffet is available daily in the Markgraf's sunny conservatory or on the garden terrace. 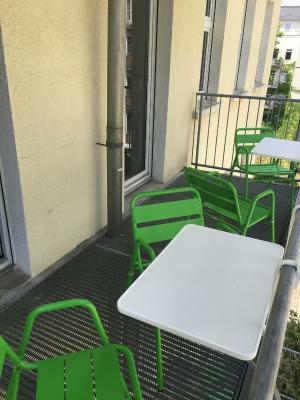 There are many bars and restaurants in the nearby Karl-Liebknecht-Straße. 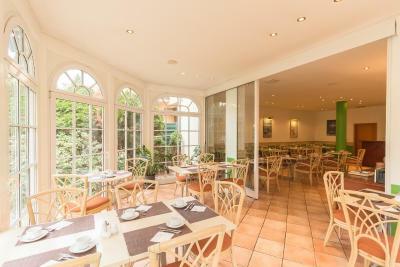 Guests can also enjoy complimentary welcome drinks and snacks at the reception area. There is also a vending machine with refreshments available 24/7. 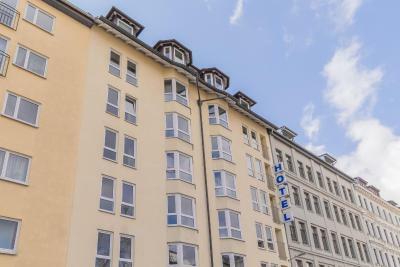 The Hotel Markgraf Leipzig is 650 feet from the Südplatz tram stop, providing direct links to Leipzig Main Station and Leipzig city center with its shopping areas. Parking is available near to the hotel, free of charge. The Gewandhaus Theater and historic Auerbachs Keller Restaurant are a 20-minute walk from the Markgraf Leipzig. Süd is a great choice for travelers interested in friendly locals, convenient public transportation and atmosphere. 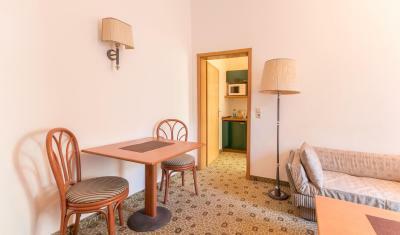 When would you like to stay at Hotel Markgraf Leipzig? 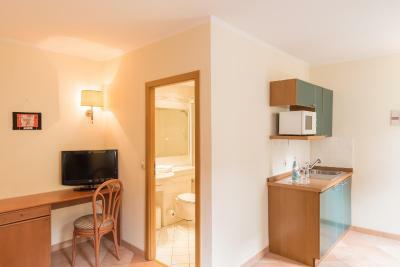 This single room includes satellite TV, a telephone, a mini-bar with one free bottle of water, and a private bathroom with a hairdryer. 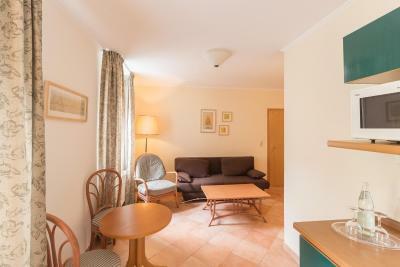 This double room includes satellite TV, a telephone, a mini-bar with one free bottle of water, a seating area, a bench and a private bathroom with a hairdryer. The double bed is 75 in wide. This individually-decorated apartment includes a satellite TV, a telephone, and a private bathroom with a shower or bathtub. An extra bed can be accommodated in this category. This family room features a sofa, seating area and microwave. Please note the bed in these rooms is only 55 in wide. 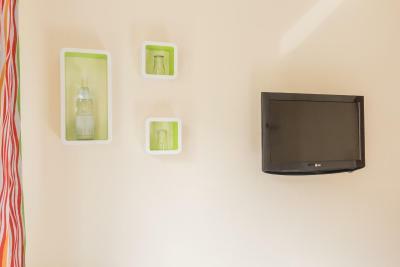 This twin room features cable TV, a storage base for luggage, a mobile working desk, shelf and coat hangers. Please note that in this room category there is no drawer and no seating area. 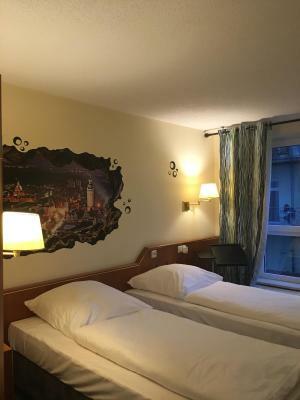 Hotel surroundings – This neighborhood is a great choice for travelers interested in friendly locals, convenient public transportation and atmosphere – Check location Great location - show map Guests loved walking around the neighborhood! 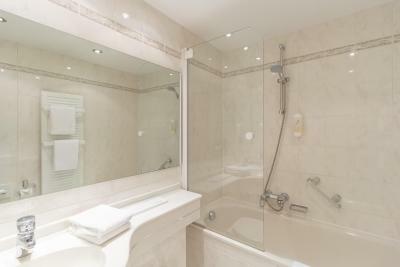 House Rules Hotel Markgraf Leipzig takes special requests – add in the next step! 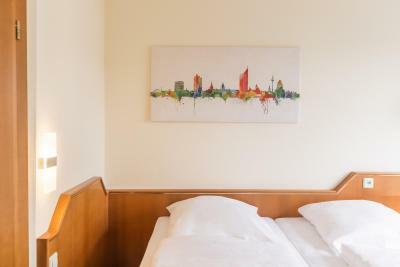 Hotel Markgraf Leipzig accepts these cards and reserves the right to temporarily hold an amount prior to arrival. The Internet is terrible slow and you always have to go through a login process whenever you reconnect. As I checked in on Wednesday evening there was no one at the reception and no bell to call anyone. I ended up going into the restaurant to find someone on a private phone call. It took a while for them to hang up and check me in. 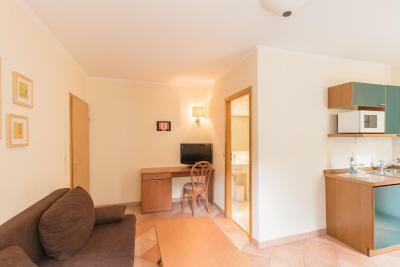 Very small room without any work surfaces such as desks or even bedside-tables. 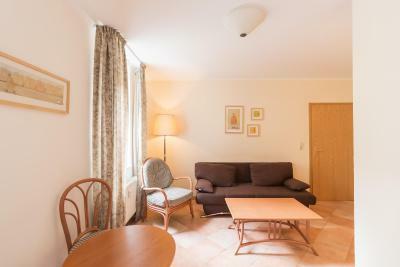 Room with essential facilities and very small, Double-bed covered approximately 60% of the room size. I opted for the „don’t clean every day and get a bottle of water for free“ option: no cleaning (which surprising included not making the bed) but also no water bottle. Very slow elevator. There were no small towels in the bathroom but only big one left. I can just recomment this place. 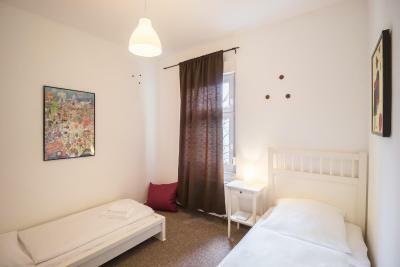 Nice room&bathroom, good bed (big double mattress), good wifi, very clean, good heating, friendly staff. 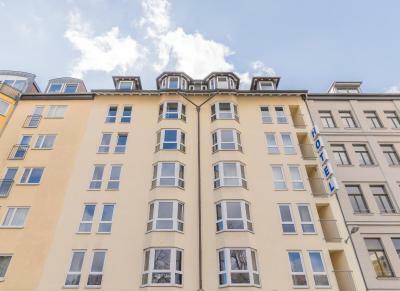 On quiet square, close to city center and tram stops. Very good breakfast, scrumbled eggs were excellent. Everything else - breakfast, room, convenient location. Excellent location. Comfy beds. Friendly staff. The internet service (i.e., a temporary 24h ticket) was very poor. Quality of signal very poor, often so poor that it didn’t work at all.